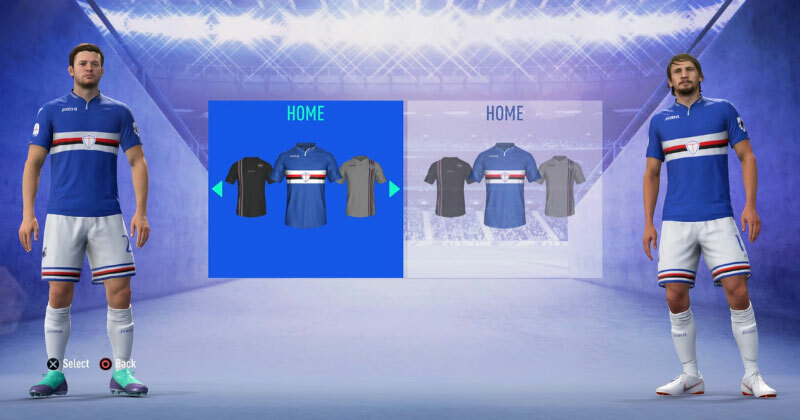 FIFA Ultimate Team is back with a bang, along with another huge selection of authentic football kits. 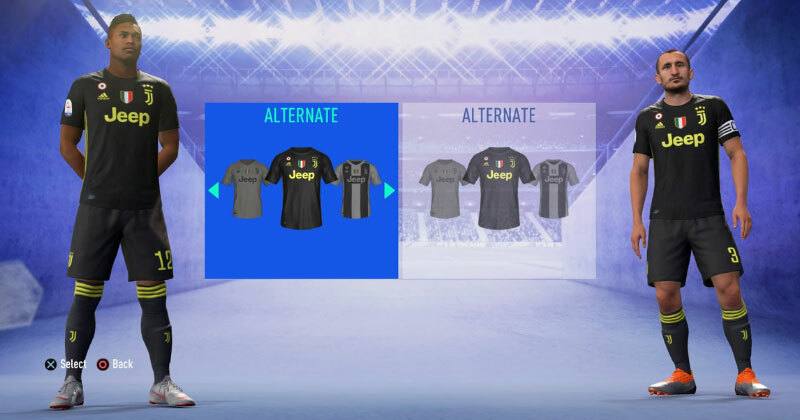 Picking out some new FIFA Ultimate Team kits is never easy. You need to find something colourful and stylish, which also helps create a bold, unique identity for your club. After all, you’ll want your team to stand out on the pitch, while also making your mates and other players sick with jealousy. The only problem is: there are literally THOUSANDS of designs to browse through. 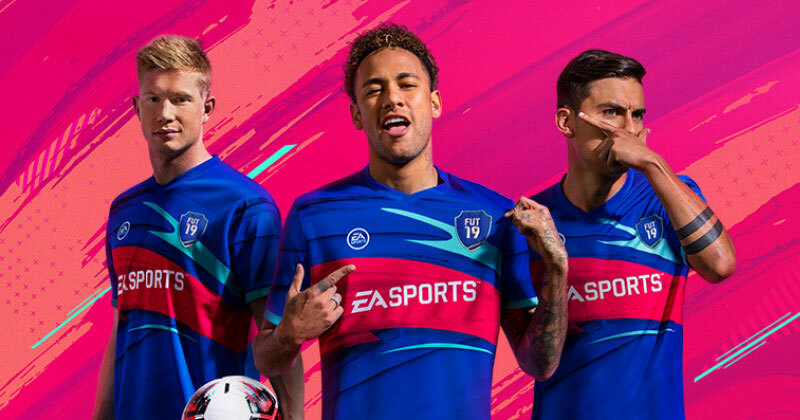 Fortunately, we’ve picked out all the best FIFA 19 Ultimate Team kits already for you. 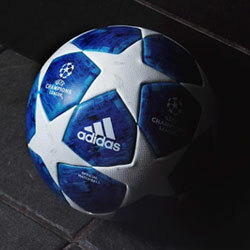 This blog is part of our FIFA series. Check out the rest of series below. Sleek shades of gold. Bold diagonal stripes. Gorgeous black detailing. 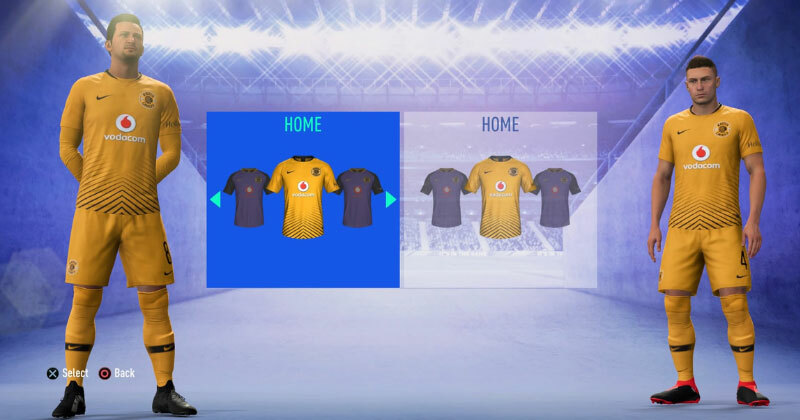 The Kaizer Chiefs home strip is an essential addition to every dressing room this season. The distinct ‘Vodacom’ sponsor will also bring back memories for Manchester United fans, after the Red Devils sported a very similar logo way back in the early 00’s. Now that Paul Scholes, Ryan Giggs and Ruud van Nistelrooy are all available as FUT icons, you can really submerge your club in some turn-of-the-century nostalgia. Yeah, us neither. But, regardless of whether you’ve heard of this Polish side or not, there’s simply no taking your eyes off their dazzling away kit. Incorporating a crisp, dark blue colourway, the strip is brought to life by a scratchy, almost sketch-like yellow graphic; which provides perfect speed-blur lines for anyone boasting a particularly pacey squad this season. 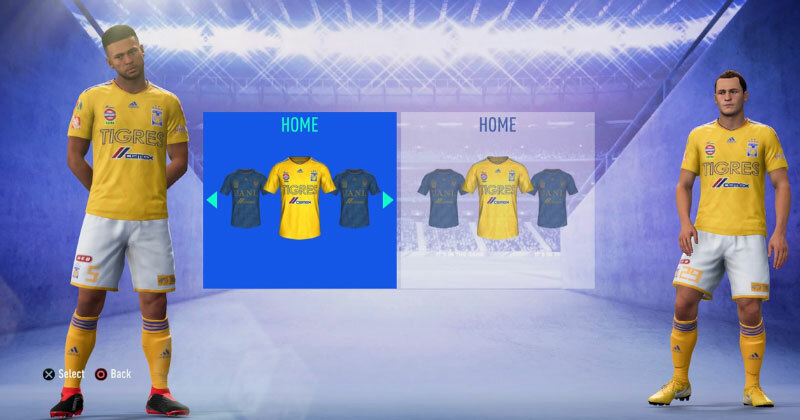 A striking gold colourway combines with a dazzling retro pattern, as Tigres provide one of the best Ultimate Team kits once again this season. Packed with sponsors and finished off with bold blue detailing, it’s fair to say this juicy little number will help you stand out on the pitch. Oh, and the badge is awesome. Speaking of awesome badges, Mexican-side Pumas (or U.N.A.M in the game) have delivered yet another strip that’s impossible to ignore. 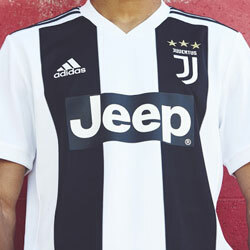 This year, their crisp and clean home kit is the pick of the bunch, with their classic crest once again sitting prominently across the front of the shirt- which is guaranteed to intimidate your Ultimate Team opponents. 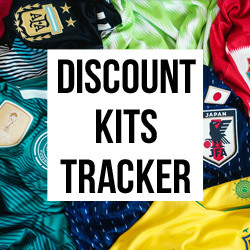 The Kit Kings are back with another classic design this season, and there’s absolutely no reason your club shouldn’t bask in their unmistakeable style. The classic Sampdoria stripes look just as striking as ever, with the shield of St George sitting in its usual place in the centre. A downright beautiful football kit. This is the perfect kit for anyone looking to bring a bit of 90’s nostalgia to their club. Based on the famous Magpies away strip of the 95/96 season, this maroon and navy number is positively dripping in retro style. 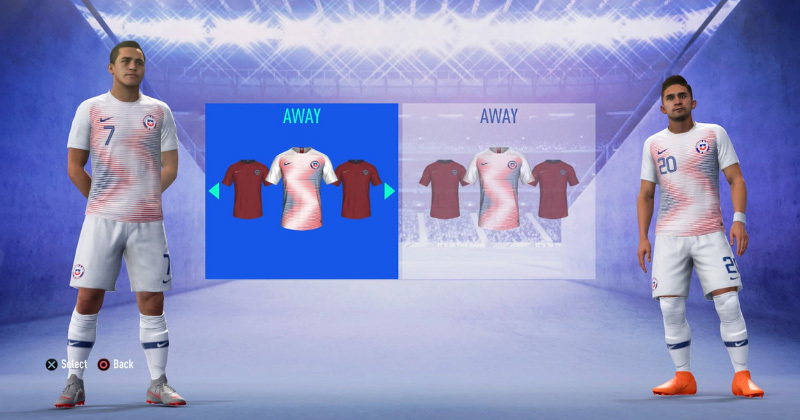 Finished off with classy gold detailing and matching maroon socks, this is our pick of the Premier League kits in FIFA 19. Sleek. Stylish. And incredibly Juventus. The Old Lady look resplendent in their dark grey, metallic third kit, so your club should seriously consider following suit. The bold yellow detailing practically pops out of the shirt, too, with the logos, sponsors and shirt numbers standing out vibrantly on the pitch. It’s also made entirely from ocean plastic- but you probably don’t care about that when it’s only a video game. The prominent Red Bull logo has never been to everyone’s tastes, but you can’t argue with the fact that it grabs your attention. 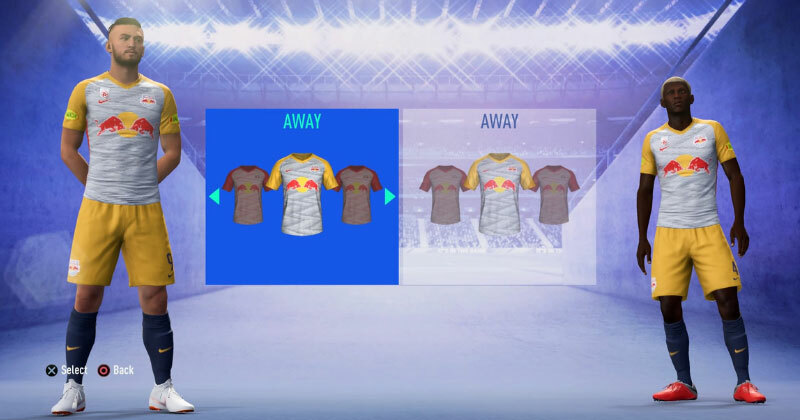 The RB Salzburg away kit is particularly eye-catching, with yellow sleeves, red stripes, and a purple back all used alongside a frantic striped graphic. It’s as garish as you might imagine- and it’s absolutely perfect for Ultimate Team. Instead of boring you with a string of fire puns (this shirt is LIT! ), we’re just going to let you gaze upon this Shimizu S-Pulse classic and make your own minds up. 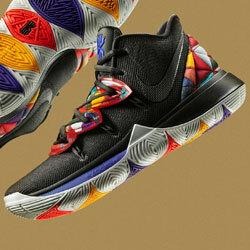 Great option for those that want to wear something a little bit different. Just look at that eagle graphic. Coming alongside the signature pale blues and whites we always associate with Lazio; the futuristic bird pattern stands out prominently in a sleek dark navy. 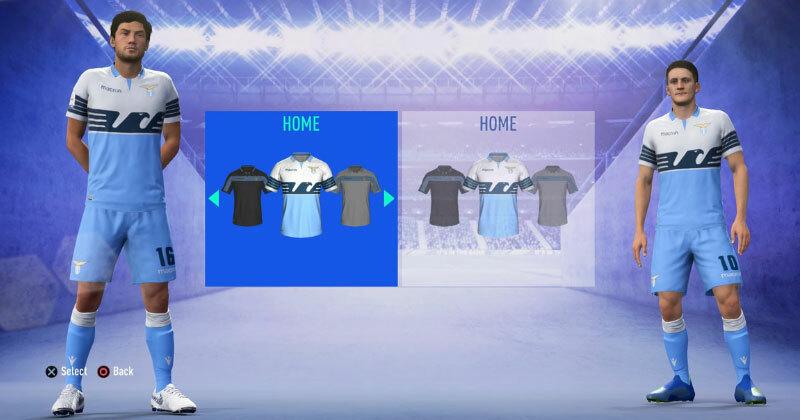 It’s a striking, eye-catching design that comes complete with a tall collar and sky-blue shorts, while the eagle graphic is also used on the goalkeeper kit. A fantastic option for FIFA Ultimate Team. If you’re more of a wolf person, then allow us to direct your attention to this rather beautiful Al Taawoun away kit. Drenched in dark shades of purple and brought to life by little flashes of yellow detailing, the away strip comes complete with a dazzling geometric pattern and a stylish wolf graphic. 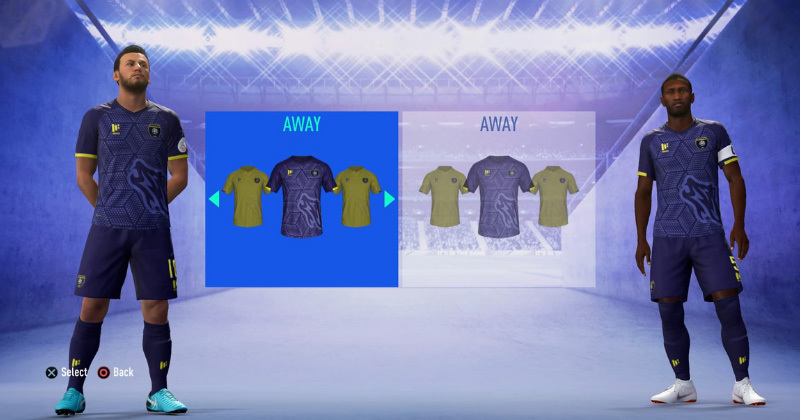 If it’s a bit too dark for your liking, then their yellow home kit features a similar design. The Colombian side might not be the most famous club in the world, but they’ve certainly got some stunning football kits this season. A subtle chequered design lies within the shades of purple, until forming a much more pronounced pattern right down the middle of the shirt. 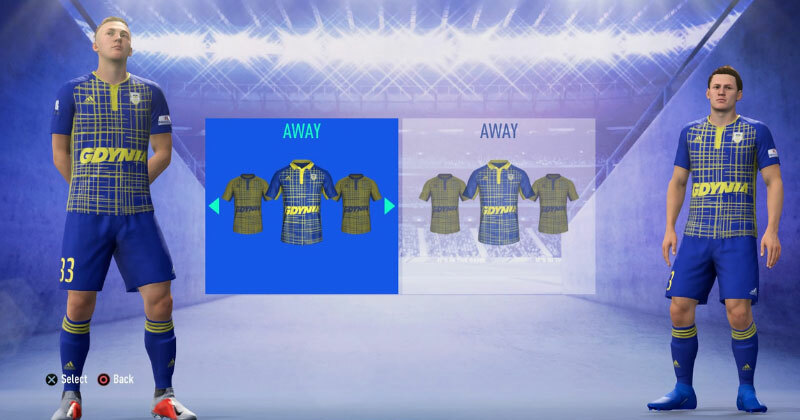 Striking on the pitch and clear of any annoying sponsors, this is a kit made for Ultimate Team. 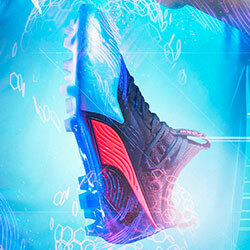 This is just about as sleek and stylish as football kits get. The gorgeous Parma third kit features a centralised cross in lines of blue and yellow, standing out like neon lights against that deep black colourway. Although it might be a little annoying to play in on shadowy pitches, there’s no doubt this strip is nothing short of a masterpiece. Colourful. Beautiful. Just plain absurd. 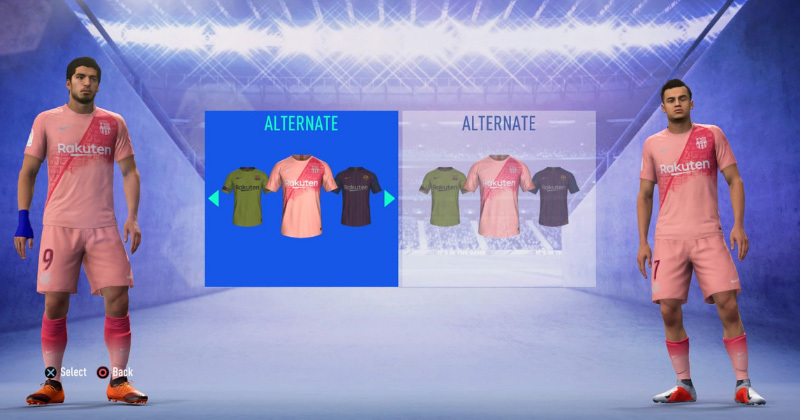 This is what Ultimate Team kits are all about. A green and white colourway is presented in a slanted, almost abstract, chequered design which seems to follow absolutely no pattern whatsoever. 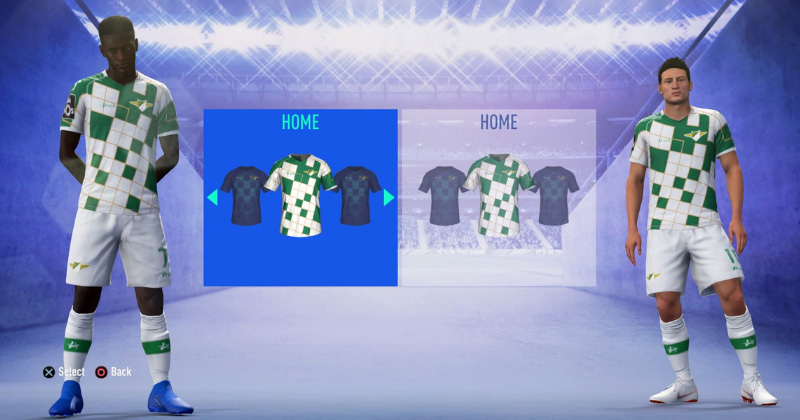 Looking a little like a Scrabble board with only a few of the spaces filled in, this is one of the most striking kits you’ll find in FIFA 19. So many people have been talking about the V-Varen Nagasaki home kit, that this beautiful away kit seems to have gone completely unnoticed. Featuring a crisp white colourway and clean, clear logos and sponsors, this design offers a much more stylish and subtle football kit. 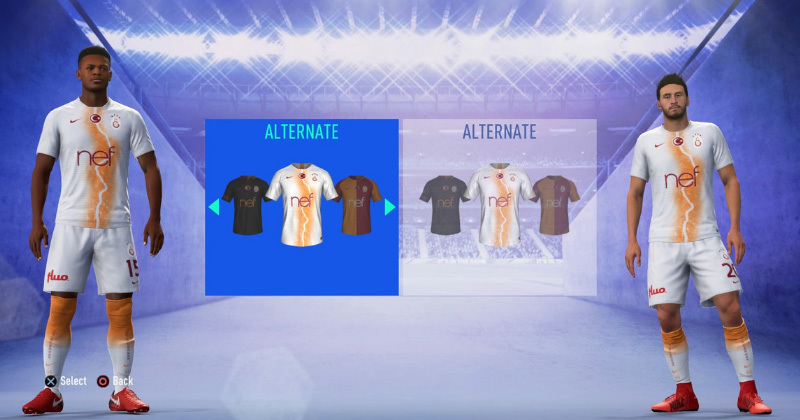 The shirt is covered with sketch-like blue and orange flames, with the refined detailing offering a much classier, sophisticated look for your Ultimate Team. On the much bolder side, however, we have the rather striking Leeds United away kit. Sporting a smart dark blue colourway and crisp white logos, the design is brought to life by an electric graphic that almost pops out of the shirt like a firework. The unique geometric pattern is injected with little flashes of colour and energy, creating an unmistakeable neon masterpiece. 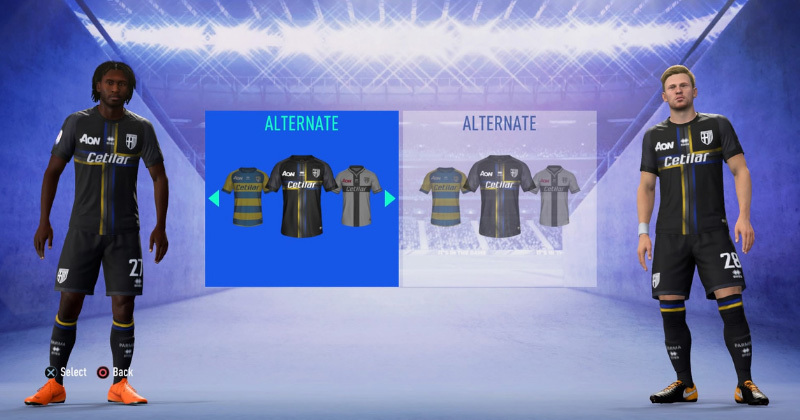 This Inter Milan kit might be inspired by the Nerazzurri’s great history, but that’s not what makes it perfect for Ultimate Team. Nope, instead it’s the sleek, stylish grey colourway and absolutely gorgeous marble effect that’s taken our eye. The fact Pirelli’s iconic logo fits in seamlessly with the cross graphic is just another added bonus. Beautiful. The stunning Chile away kit features a unique shirt graphic inspired by the country’s national bird, the Andean condor. It implements shades of red, blue and white to create a gradient effect which results in a pattern resembling a jagged bolt of lightning. It’s modern, bold and doesn’t include any messy sponsorships. 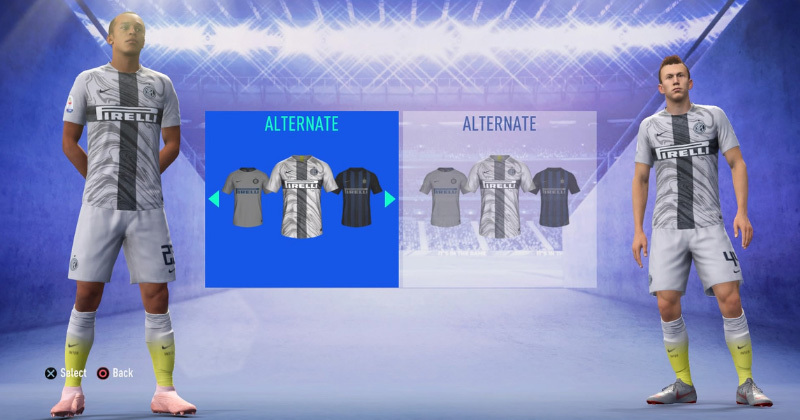 In other words, it’s one of the best FUT 19 kits. 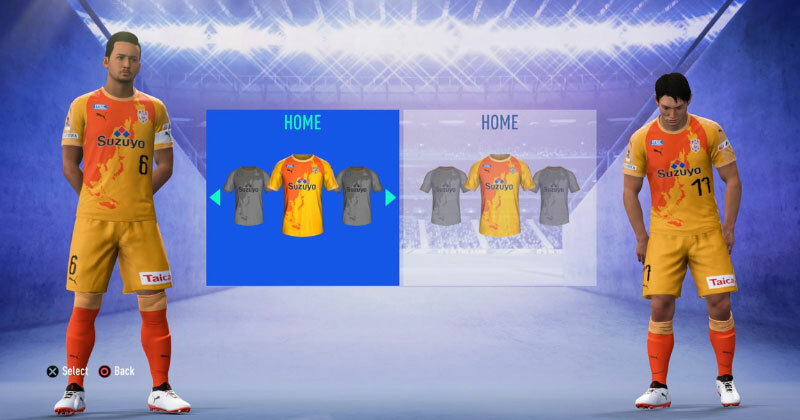 If you’re after a much more deliberate bolt of lightning, then you might want to give the beautiful Galatasaray third kit a try. Okay, so it’s actually a depiction of the Bosporus strait and the surrounding areas, but the graphic undoubtedly seems to crackle and fizz as it runs straight down the front of the shirt. Either way, it certainly makes an impression. The Barcelona third kit is just straight-up beautiful. The light pink colourway looks absolutely fantastic while you’re out on the pitch, and you just can’t ignore the beauty of that darker graphic on the chest. 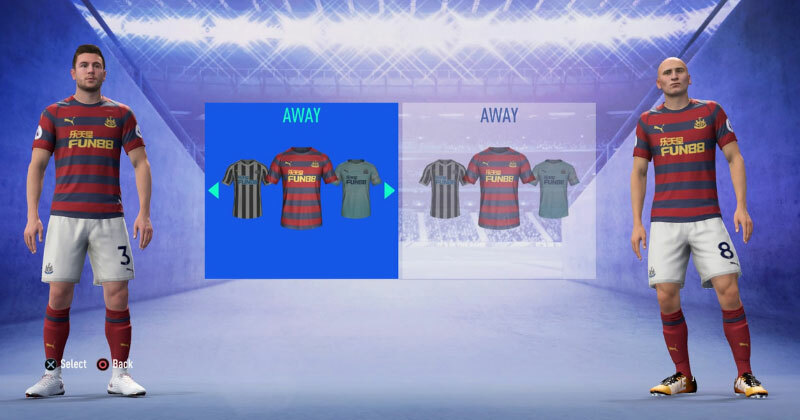 Depicting a bird’s-eye view of the city, the sash helps to create a vibrant, innovative football kit that’s great for Ultimate Team. 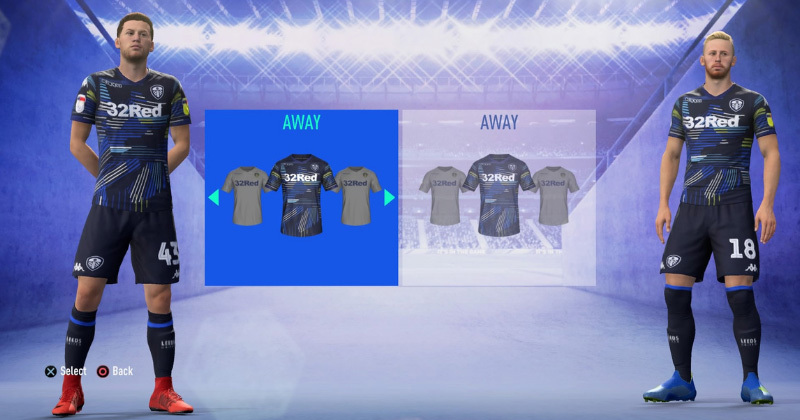 If we could get rid of the sponsor, it’d be just about perfect. WHERE CAN I FIND CHEAP FIFA 19 DEALS? FIFA 19 is released on PlayStation 4, Xbox One, PC and Nintendo Switch on 28th September 2018. You can compare prices today at FOOTY.COM to make sure you bag the best deal on the internet- and start the season with a bit of extra cash in your transfer budget. 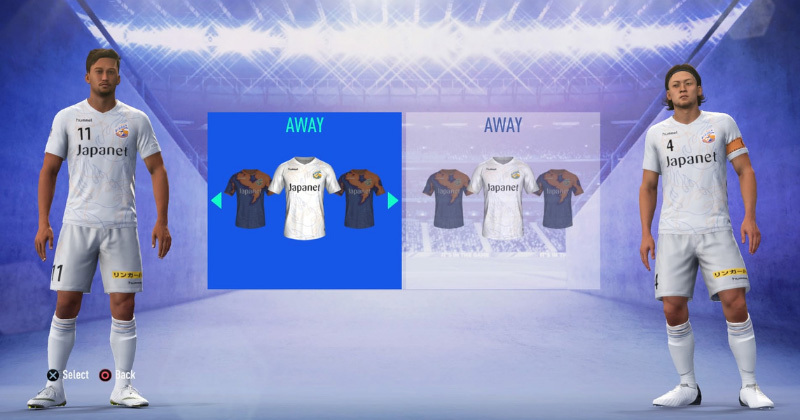 In fact, why not go one step further and actually buy your club’s new football kits in real life? 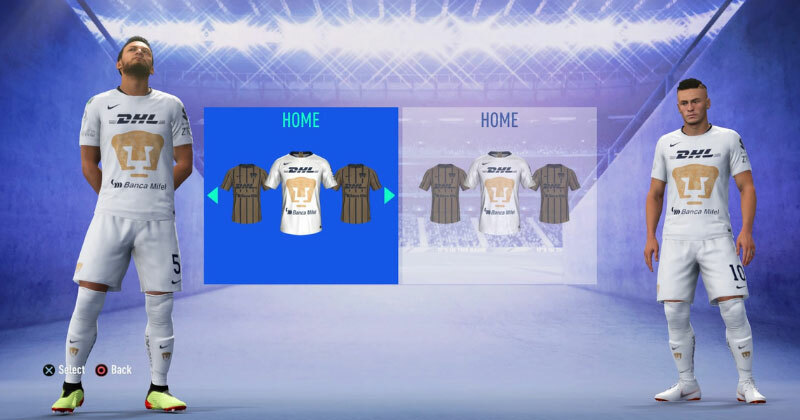 There’s nothing better than showing off your Ultimate Team threads in the flesh! 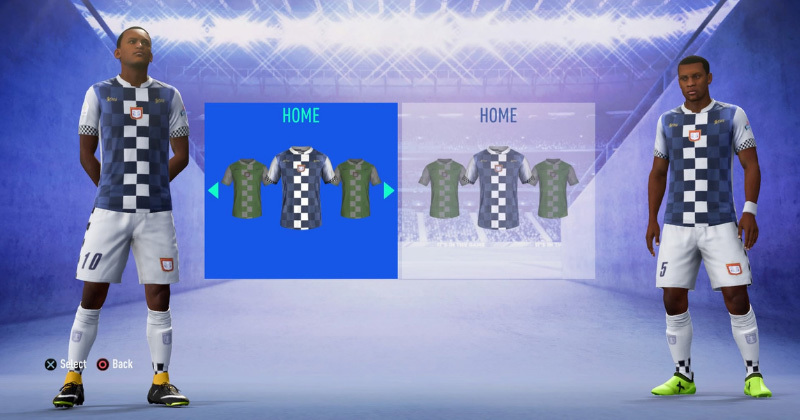 With no messy sponsors getting in the way, these football kits are perfect for Ultimate Team this year. Every great club needs its own fortress. Can your opponents do it on a wet, Tuesday night in Mexico City?